All CHURCHILL FOREST homes currently listed for sale in San Antonio as of 04/24/2019 are shown below. You can change the search criteria at any time by pressing the 'Change Search' button below. "Recently updated home features updated kitchen, new carpet, and is turnkey. Split level unique floorplan (2.5 Storey)truly makes this home one of a kind. 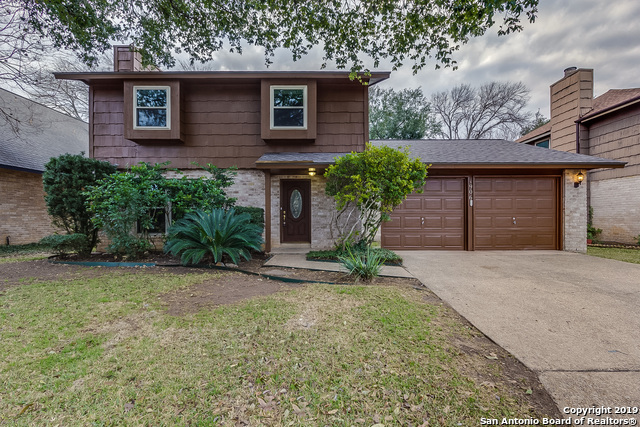 The home resides in a secluded neighborhood with easy access to I-10, 281, Loop 1604 and 410. Hardberger Park and the Salado Creek Greenway are within walking distance and make it extremely desirable. Look up the plans for the upcoming avant garde Hardberger Land Bridge!You will enjoy the deer and other abundant wildlife while relaxing in the h"
"This San Antonio two-story home offers a fireplace, breakfast bar, and a two-car garage. Upgraded features include fresh exterior paint. This home has been virtually staged to illustrate its potential! Thanks for viewing!" "This San Antonio two-story offers and a two-car garage. Upgraded features include a new roof, new HVAC system, fresh interior paint, and new carpet in select rooms. This home has been virtually staged to illustrate its potential! Thanks for viewing! A community pool and tennis court are part of the HOA. Home comes with a 30-day buyback guarantee. Terms and conditions apply." 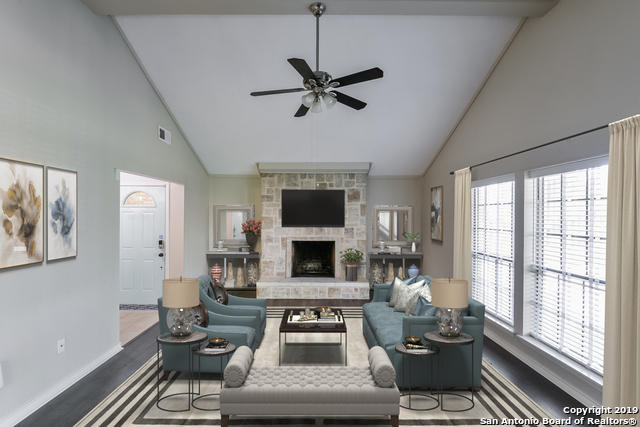 "This San Antonio two-story offers a fireplace and a two-car garage. Upgraded features include fresh interior and exterior paint and new carpet in select rooms. A community pool and tennis court are part of the HOA. Home comes with a 30-day buyback guarantee. Terms and conditions apply."